The updating of the Spanish ICTS Map aims to consolidate this map as a tool for long-term planning and development of this type of infrastructure, updating it according to established criteria, with emphasis on quality and scientific-technical and economic sustainability, prioritizing the continuity Of the installations in operation and those that have viable financing scenarios, implementing it jointly with the Autonomous Communities. This tool also makes it possible to optimally plan the application of national, regional and European funding, in particular FEDER funds from the programming period 2014-2020, aiming to achieve a stable medium-term funding framework to guarantee the achievement of its objectives. 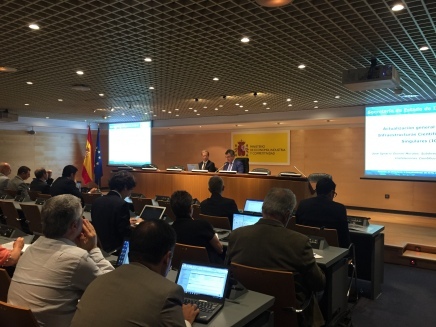 In order to report on the procedure for updating the ICTS Map, a meeting with the directors of the map in force was held on 22 June at the Ministry of Economy, Industry and Competitiveness, where NANBIOSIS was present as well. The Secretary General of Science and Innovation, Juan María Vázquez Rojas, opened the day welcoming the directors and thanking them for their presence and collaboration. Subsequently, the Deputy Director General of Large Scientific and Technical Facilities, José Ignacio Doncel Morales, explained the procedure for updating the ICTS Map. Once this updating procedure is completed, it will be the Council of Scientific, Technological and Innovation Policy, after a report from the Advisory Committee on Unique Infrastructures (CAIS) approving the configuration and composition of the new ICTS Map. Laura Lechuga, Scientific Director of Unit 4 of NANBIOSIS, is co-author of a new paper published in Scientific Reports. According to Cesar Huertas, co-author of the article, the Gene expression is the process by which information from a gene is converted into a functional product, such as a protein. It is controlled by a complex regulatory network wherein diverse cellular mechanisms enable the cell to respond to its ever-changing environment. One such mechanism is alternative splicing (AS) of mRNA precursors, a particularly flexible regulatory control point where diverse protein isoforms of differing, even opposing, functions are generated. However, these regulation pathways are not without their tripping points; missteps can occur which can sometimes trigger the onset of serious illnesses, including cancer. The good news is that these missteps are reversible, so if we are able to detect them (and we are), we can develop targeted therapeutic responses to treat their precise origin. Recent research from the ICN2 an CIBER-BBN Nanobiosensors and Bioanalytical Applications group, coordinator of NANBIOSIS Unit 4, has focused on the specific detection of Fas gene isoforms (Fas567 and Fas57), the aberrant splicing of which gene is implicated in tumour growth. Specifically, the overexpression of Fas57 is known to contribute to cancer aggressiveness, making the expression ratio of mRNA Fas isoforms a potential biomarker for the early diagnosis of cancer. Their work involved adapting the group’s label-free bimodal waveguide biosensor for use on long mRNA sequences, in order to detect this expression ratio. The similarity between the two isoforms and the fact that they occur only in very low concentrations in cells meant that the new sensor needed to be both highly selective and extremely sensitive, especially given that the demands of cost- and time-effectiveness warranted a device that required no sample pre-amplification stage. 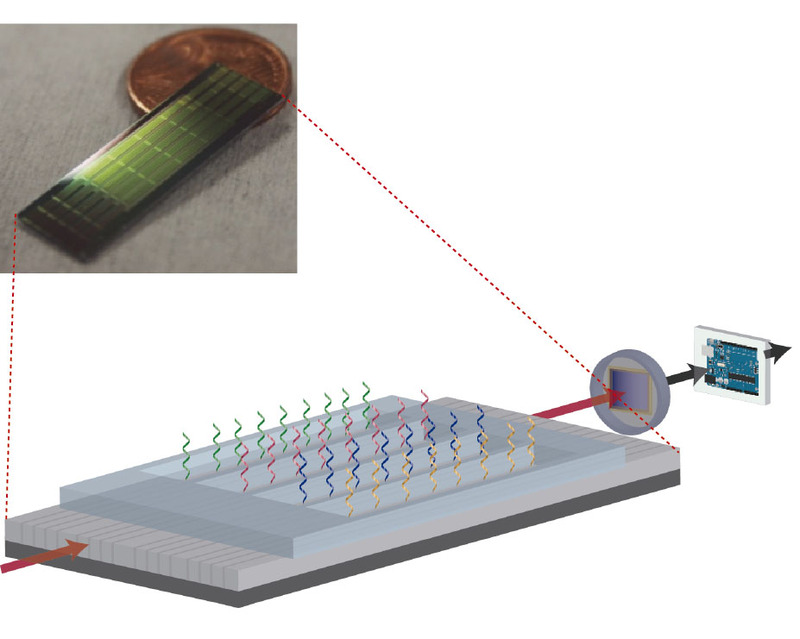 Following exhaustive analysis and optimisation, the group has achieved a multiplexing nanophotonic biosensor that can detect the two Fas isoforms in parallel at concentrations as low as 580 fM, making it potentially the most sensitive amplification-free device for the analysis of alternatively spliced isoforms developed to date. Taken as a blood test, this sensor promises a far less invasive diagnostic approach than biopsies in the not too distant future. Its ease-of-use, relative low cost and speed (less than 30 minutes) together would make it attractive for routine use not only in cancer screening, but also for monitoring the progression of cancers already detected and/or being treated, and the follow-up of patients in remission. Full details on how the group’s device was adapted and optimised to this new task can be found in the paper below. The European Union has selected the projects sponsored by two researchers from Unit 27 of NANBIOSIS: Esther Pueyo, with “PIC”, to customize the diagnosis and cardiovascular treatment and Pablo Laguna, with “MY-ATRIA”, to improve the early detection of arrhythmias Cardiac. Both projects include massive calculations that will be executed through unit 27 of NANBIOSIS, High Performance Computing. “MY-ATRIA” / Mutlidisciplinary and training network for Atrial fibrillation monitoring, treatment and progression “, by Pablo Laguna, Professor of Signal Theory and Communication and researcher of the group BSICoS of I3A and CIBER-BBN and Scientific Director of Unit 27 of NANBIOSIS, will affect the early detection of Atrial fibrillation, since it is one of the most frequent cardiac arrhythmias in the adult population. We will study the cellular electrophysiological analysis that leads to the appearance of the arrhythmias so as to be able to design more efficient drugs and to guide the surgeon efficiently in the surgical interventions of ablation of the arrhythmia with minimal affectation on the atrium. In this project with 3M euros to train 12 researchers, the group will receive 500,000 euros to hire two young pre-doctoral students. “PIC- Personalized In-Silico Cardiology”, obtained by Esther Pueyo, a professor and researcher at the I3A at the University of Zaragoza, who holds a ‘Starting Grant’, seeks the development of mathematical and computational tools to model cardiovascular physiology in healthy subjects and patients with cardiovascular diseases and evaluate different forms of therapy. 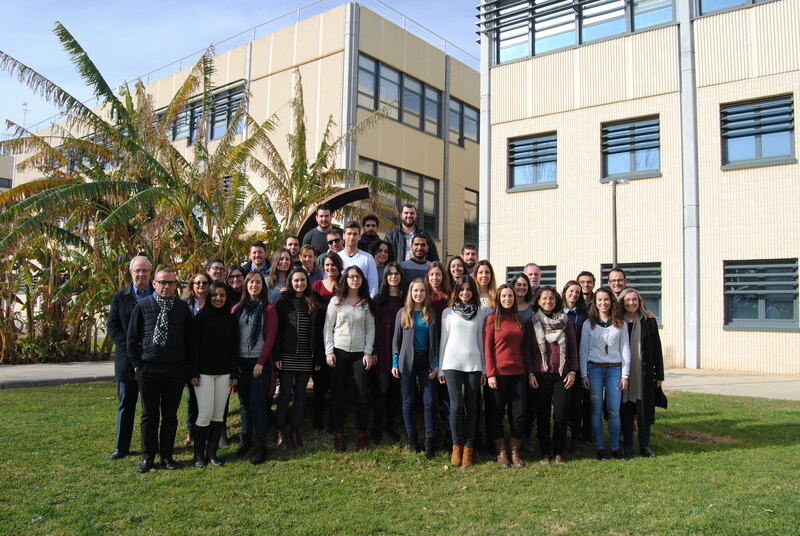 PIC, which will train 15 researchers, has 3.9M euros, of which 250,000 euros correspond to the BSICoS group, coordinator of Unit 27 of NANBIOSIS. The network is coordinated by King’s College London and involves seven universities from EU countries as well as nine other non-academic organizations, including IBM, Medtronic and Janssen Pharmaceutica, or John Radcliffe Hospital. NANOMEDICINE AND FUTURE, explained by Simó Schwartz, Director of U20 of NANBIOSIS. 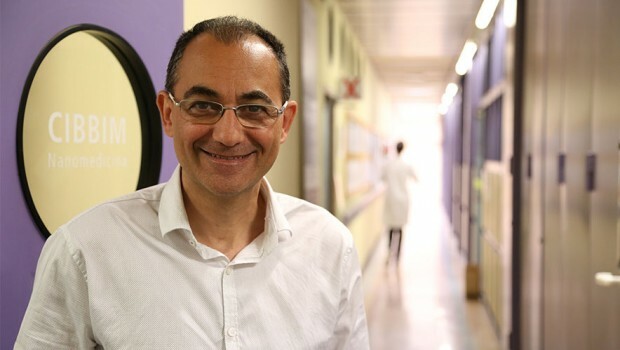 NANBIOSIS-U20 Scientific Director, Simó Schwartz, speaks about Nanomedicine in an interview publish in http://www.quimicaysociedad.org. NANBIOSIS is an Singular Scientific Technological Infrastructure (ICTS) that provides a complete service for the production and characterization of nanomaterials, biomaterials and systems in biomedicine, including the design and production of biomaterials and nanomaterials and their nanoconjugates, and the characterization of these bio-/nanomaterials, tissues and medicals devices from a physic-chemical, functional, toxicological and biological (including preclinical validation) point of view, focused also on biomedical applications such as: IVDs, biosensors, regenerative medicine, drug delivery, therapeutic agents or MRI contrast agents and medical devices. Question: First of all, what is meant by nanomedicine? Answer: Nanomedicine is considered any application of nanotechnology that aims to improve the treatment or diagnosis of a disease. In fact, one of the most important aspects of nanomedicine is to generate drugs with different components whose functions at the nanoscale are different when they are linked to when they are not. This makes the nanomedicines per se have a series of attributions that make, in general, their present use very clear advantages for the treatment with respect to conventional medicines. They are much more effective medicines, focussed on the target cells that are intended to be treated and with many less toxic effects. For some editions Expoquímia has hosted conferences on this new type of medicine. Numerous clinical trials are now underway in which the therapeutic efficacy of many nanomedicines is already being tested. Therefore, it is a fast-moving science that is already present in the market. Thus, there are already anti-tumor drugs that are nanomedicines, which have displaced the conventional treatment that was used until recently, for example, in breast cancer. And there are many more that we hope will get into the usual clinical practice in the coming years. What types of diseases can nanomedicine be applied to? And with what results? In principle, there is not a single specific prototype of disease in which nanomedicine can be applied or not. Any disease is susceptible of being treated by means of nanomedicine if it is necessary to transport a drug of a specific form to a specific site, reducing the general undesirable effects of medicines and increasing their effectiveness. At the moment, it has been tested that the use of nanomedicines implies a greater therapeutic efficiency to be able to transport more drugs to the places where they are needed and much less to the places to which they should not arrive. In reality, nanomedicines are drugs that have a specific transport system that makes that medicine instead of circulating freely through the blood is transported in a specific way to a specific site. During that transport, that drug can not act anywhere and, therefore, can not have any kind of adverse effect as if it were for free. And, in this sense, the results are good, as there is more therapeutic indication and much less general toxicity. Thus, in treatments such as cancer, where the drugs are very aggressive and have many adverse effects, nanomedicines compensate in a substantial way. Do you think that a greater implantation of nanomedicine could eradicate diseases that, today, are incurable? A disease is incurable because it has no known treatment or because that treatment is not specific enough or has a very narrow efficacy and toxicity index. That is, the therapeutic window is very narrow and per se they are very toxic. In that sense, nanomedicine, by reducing the general toxicity of the drug and being much more specific, can make certain diseases, which today have a low cure rate, improve. But nanomedicine is a specific chemical transport system, which always needs a drug or a molecule, which is the active principle that is, through a mechanism of action determined, to cure that disease. This includes gene therapy. How can a major use of nanomedicine be encouraged? Is it open to public-private collaboration? Definitely. Nanomedicines are just new medicines. Therefore, a drug that is effective, based on scientific evidence and medical at the level of clinical practice, will always have a majority use. Consequently, as in any other medicine, public-private collaboration is more than necessary because the amount of investment required to put a nanomedicine in the market is as high as that needed by any other medicine on the market. And today, such partnerships are essential to ensure that these drugs come to term. Besides the economic aspect, are there other factors that can prevent the expansion of nanomedicine as a treatment? Like any other medicine, the main problem that nanomedicine has is the high economic cost of its development. It must be borne in mind that it has to go through numerous regulatory phases, demonstrate efficacy and declare that there is no toxicity or an acceptable general toxicity like any other drug. And there the economic aspect is fundamental. In principle, there are no other factors. But it is true that, today, the production process of these nanomedicines is more complicated, since they are formed by several components. And there is no factory that is capable of generating any nanomedicine anywhere. And that is a problem, but at the same time, it represents an opportunity for the pharmaceutical industry. In this sense, what is the purpose of the Nanomedicine Day that will take place in Expoquimia 2017? The main objective is to disseminate what nanomedicine represents and means, as well as the therapeutic opportunities it entails,to facilitate the understanding of the difference between a conventional medicine and a nanomedicine, how nanomedicines work and why they are more effective and less toxic and why there is so much interest in developing and using these systems to improve the results of current treatments. Lastly, shall nanomedicine be the medicine of the 21st century? Undoubtedly, many diseases will be treated with nanomedicines, since they allow a more effective treatment and with less toxicity. The results of a research co-led by Ramón Martínez-Máñez, Scientific Director of Unit 26 of NANBIOSIS and CIBER-BBN have been published by Nature Communication last May 30th, showing how to prepare a nanoparticles chemical communication system using lactose. So far, his group had managed to establish communication between three nanoparticles but only in a unidirectional way. “We have managed to get a nanoparticle to send a chemical messenger to the second nanoparticle, who understands the message and sends another chemical messenger back to the first one. Upon receiving it, it performs an action, in this case releasing a dye,” explains Martínez-Máñezto Efefuturo. This is a very important “basic” research due to the lack of proven results at the nanoscopic level. This research is the first step in getting the nanoparticles to work in a collaborative and coordinated way, anticipating a future of intelligent nanoparticle networks and advanced controlled release systems, drugs or complex systems based on nanotechnology. 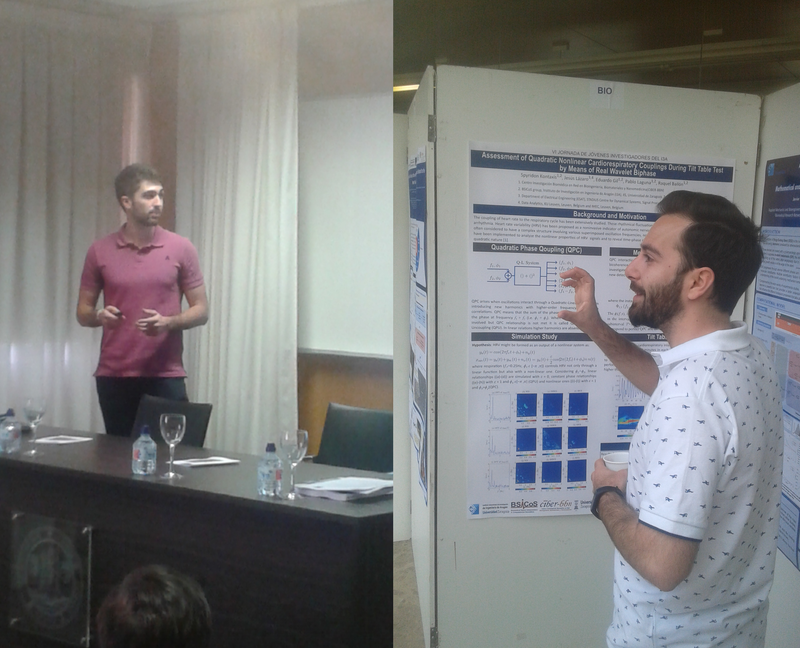 On June 2, the VI Conference of Young Researchers organized by the I3A at the University of Zaragoza was held, aimed at doctoral students who have as director or co-director an I3A member. The inaugural lecture was given by José Antonio Sanz Herrera (Professor Contractor Doctor at the University of Seville and who held his doctorate at I3A) who has talked about Multidisciplinary Research as the basis of the young professor in engineering. After the inaugural conference a first block was opened with four oral presentations, giving way to the poster session and coffee. A second and final block with four oral presentations will be held next. One of the presentations has been made by the research group that coordinates Unit 13 of NANBIOSIS with the title “3D simulation of intraestromal ring implants for the stabilization of keratoconus“. Another of the presentations “Heart Rate Variability Analysis in Risk of Asthma Stratification” was in charge of the Coordinating Group of Unit 27 of NANBIOSIS.